To be honest, went into this expecting not very much. I am reliably informed that I saw Prometheus. I reviewed the damned film, anyway, and apparently quite liked Prometheus. I cannot, however, remember a single thing about Prometheus. It was even on TV this weekend, and subsequent to seeing Covenant, we watched half an hour of it, with absolutely no bells being rung at all. I mean, I remember bits of the horror – and not in a good way – that was Alien: Resurrection. But it’s as if my memory of Prometheus had been entirely wiped, which did not augur well for Scott’s latest flogging of a dead extraterrestrial. The end result is… okay. It feels a little bit too much like a retread of its predecessors, particular in that once again, the characters are entirely oblivious to the concepts here. Yes, I know this all takes place before the events of the original, but when you see someone leaning over to look into a pod that has just blossomed open… It brings out my inner black woman, and I have a strong urge to wag my finger and yell, “Nuh-uh! Don’t do it!” at the screen. It’s the same, abandoned spaceship > facehugger > chestburster routine we’ve seen for close to forty years now, with an ending nicked from Aliens, the creature hitching a ride as the spaceship lifts off. Scott does offer some variations on the theme: the spineburster, for example (shown above), was a nice touch. And his eye for visuals is every bit as good as ever. There’s no-one who can paint with film in quite the same way. 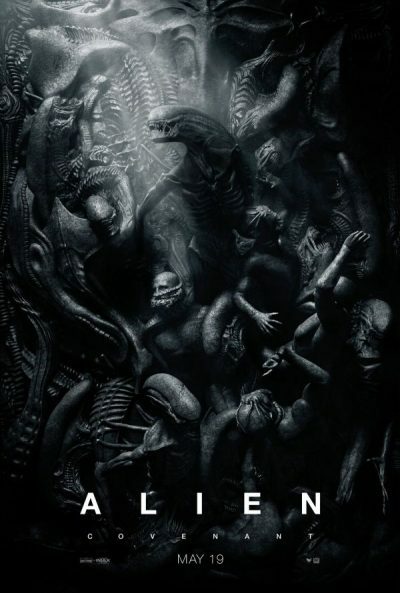 It’s just too introverted an alien movie for my tastes, by which I mean, the dynamic shifts from human vs. alien, to being human vs. human, and the monster instead becomes just a tool towards an end. It ends up not being much more than Chekhov’s gun with acid blood: you know it’s going to go off in the third act. 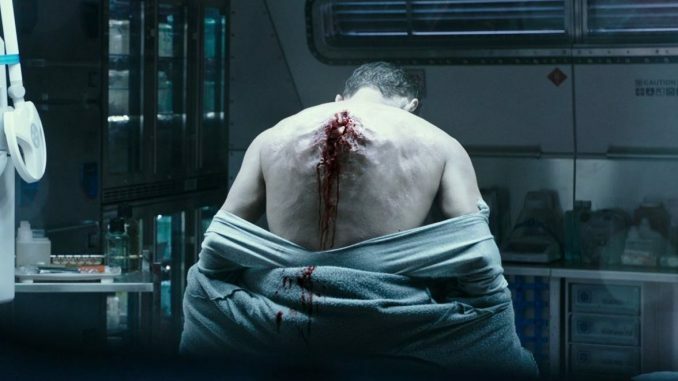 At least Prometheus could be artistically justified, on the grounds of Scott taking his baby back after the varying treatment inflicted on it by Messrs. Cameron, Fincher and Jeunet. This seems on considerably thinner ice, and I’m unconvinced this is a universe truly in need of any further exploration. Especially if it’s going to consist of films, which serve mostly to remind viewers just how great both Alien and Aliens were.